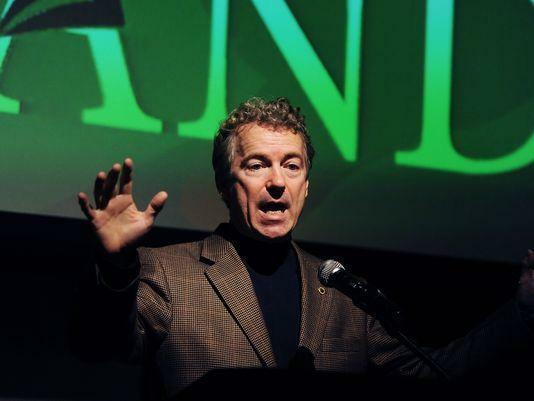 DENVER (AP) - Republican presidential hopeful Rand Paul is holding a groundbreaking fundraiser in Denver Tuesday afternoon. The Kentucky senator is holding a fundraiser with the new marijuana industry, which is holding an industry convention this week. Paul becomes the first major-party presidential candidate to publicly court donations from the pot industry. Though legal weed businesses owners have been active political donors for years, presidential candidates have shied away from holding fundraisers made up entirely of marijuana-related business owners. Paul has joined Democrats in the Senate to sponsor a bill to end the federal prohibition of marijuana for medical reasons. The senator also backs a federal drug-sentencing overhaul. Tickets to the pot fundraiser start at $2,700. Marijuana advocates say political candidates at every level are more publicly courting marijuana entrepreneurs for political donations.